For each contract Advanteering develops a project specific integrated Quality, Environmental, Safety and Traffic (QEST) Management Plan which details the relevant legislation and industry standards for the work on that project, accounts for the requirements of all relevant stakeholders and includes mechanisms for review and revision to ensure validity. 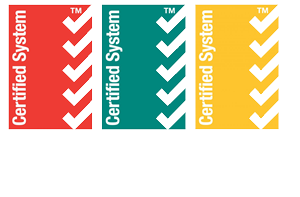 Advanteering is Third Party certified for its Quality, Environmental and Safety Management Systems. This ensures that each Client can be confident that these characteristics of the project will be well performed. That is positive outcomes are foreshadowed for the project to meet or surpass the requirements of the customer, to the benefit of the Environment, and without adversity to the health safety and welfare of employees and subcontractors. This management system will ensure your project is delivered successfully in a streamlined and comfortable fashion. Advanteering believes in continual improvement. Before Advanteering signs off on a project our supervising engineer conducts an evaluation interview with the client covering all aspects of our performance from tender to practical completion. During this evaluation we welcome feedback which drives our quest for continuous improvement.